Managing Director, (Alunited Maritime Pte Ltd) :Singapore citizen. Since 1990 engaged in Ship owning, ship chartering, ship management and agency businesses. 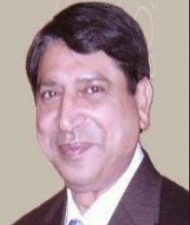 Director of Modhumoti Bank, Bangladesh; Hon'ble Member of Board of Trustees of Southeast University, Bangladesh.